Together with California Homes magazine and the Philharmonic Society of Orange County, we directed and participated in developing a showcase house called "Casa California," with proceeds benefitting under-privileged children in Orange County. Completed in 2008, along with many of California's top designers, we were charged with designing awe-inspiring spaces in this Shady Canyon home. 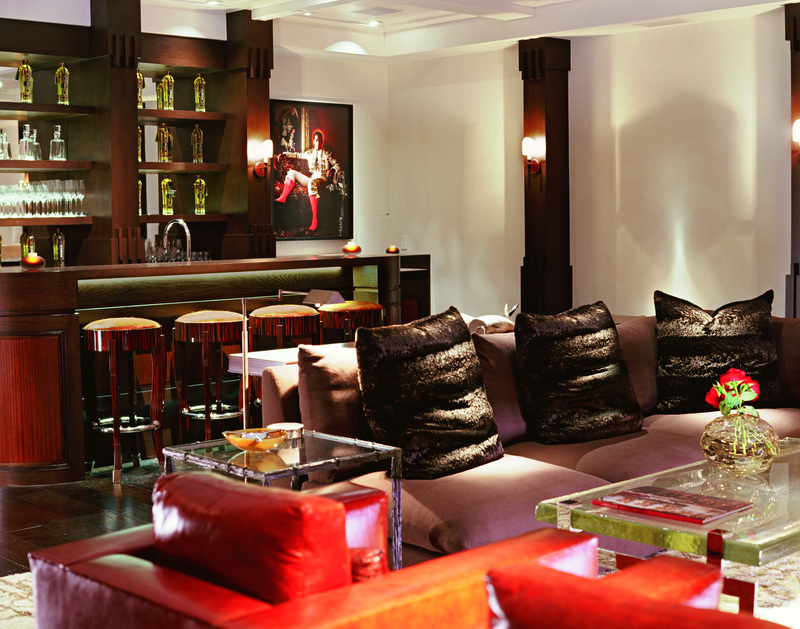 Our task - the cinematic and theatrical Lounge and Powder Room.